How do you ensure good luck in 2018? It’s simple – surround yourself with family and good friends, spread good vibes, and gather around a heart-warming meal with people you love spending with. 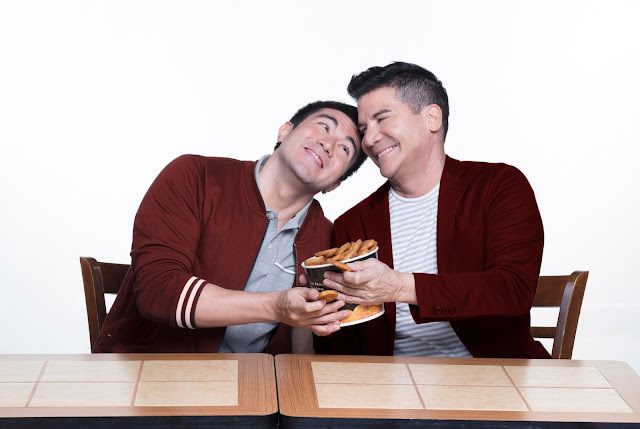 This is exactly what father and son Edu and Luis Manzano intent to do this year. Luis has been part of the Shakey’s family since last year and has been renewed to be joined by his father, Edu. Both are known for their playful nature and mostly followed on social media for their hilarious videos and posts. They appear in the newest advertisement where Edu is dressed in polka dots from head-to-toe, while Luis debunks this popular belief and shoes his dad how to truly get lucky this New Year – by availing Shakey’s hottest 2018 Meal Deal. Shakey’s president and chief executive officer Vicente Gregorio is very enthusiastic about their new tandem. “Edu and Luis embody the brand in every way, which is why we are excited to welcome them into the Shakey’s family this 2018. 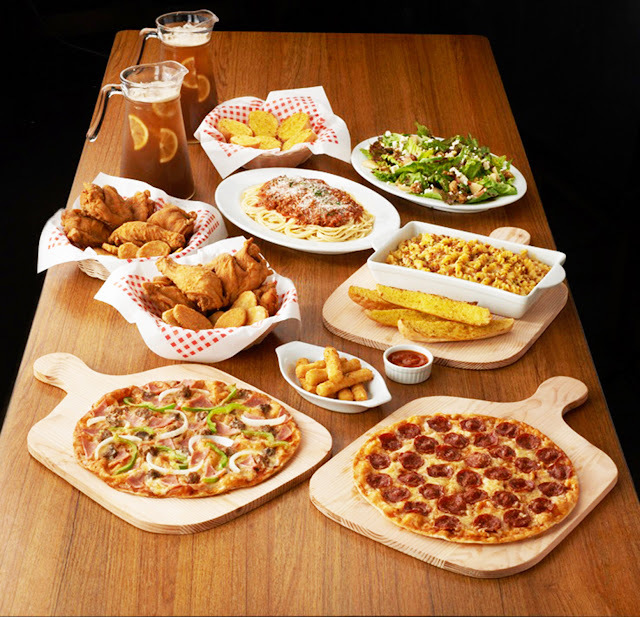 Guests will surely be lucky with this meal deal, since Shakey’s is centered on exceeding their expectations. Each year, it has become a tradition for Shakey’s to offer something more fun and family-friendly with our meal deals, and this 2018 is no different as we present the 2018 Meal Deal”, he said. With these savings, guest are indeed lucky with Shakey’s 2018 Meal Deal. Get two large Thin Crust pizzas, two platters of pasta, ten pieces of Chicken ‘n’ Mojos, ten pieces Mozzarella sticks, a platter of salad, and two pitchers of iced tea. And this year, there’s a new addition to their pizza choices – Bacon and Cheese Fusilli Pasta, a delicious creamy blend of parmesan, mozzarella and cheddar, plus crispy bacon bits baked with fusilli pasta. On top of all the fun, you also get a free Supercard. Experience the full #Lucky2018 by Shakey’s with the sweet deal for only P2,018. “Since way back, Shakey’s has always been a staple whenever there are family get together and whatnot. I’m really glad and honored to be part of the Shakey’s family.” said Edu. For Luis, it is a win-win situation. “I am a big fan of the brand. I tweet about it and constantly order pizza when I’m home or at work. Aside from that, I get to work with my dad, which makes it a lot more special,” he said. Now you know how to achieve #Lucky2018! Spend time with your loved ones, and make it more special by availing Shakey’s 2018 Meal Deal. You will never go wrong. To learn more about 2018 Meal Deal, visit their website www.shakeyspizza.ph, their official Facebook Page www.facebook.com/ShakeysPH/ and Instagram Page www.instagram.com/shakeysph/.